Canon 6D + Tamron 180 macro, f 13, 1/10s, iso 400, tripod. 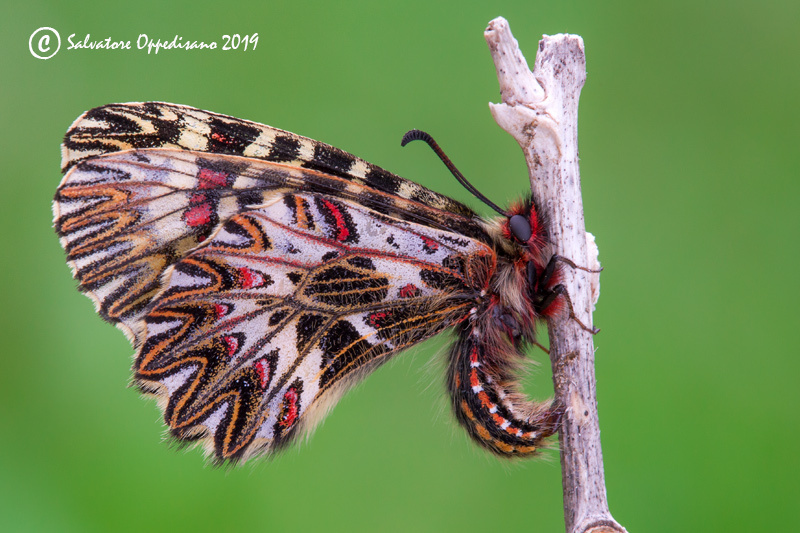 Fine image - Festoon butterflies are gorgeous. This is fantastic - a slight magenta cast but still awesome! Beautiful beast & composition, very well done!